The statutory framework for insolvency-related procedures in Italy is primarily set out in Royal Decree No. 267 of 16 March 1942 (the Bankruptcy Law). Other pieces of legislation are provided with regard to specific sectors or situations. The Bankruptcy Law has undergone extensive revisions in the last decade, which have shifted the focus from the protection of creditors through the liquidation of assets to a wider range of opportunities for discharging debts via composition. The House of Representatives has recently approved a delegated law bill that aims at thoroughly reforming the Italian Bankruptcy Law, also to rationalise and reorganise the legislative picture. Insolvency proceedings usually aim at liquidating an insolvent entrepreneur's assets with full discharge vis-à-vis all creditors. In recent years, alternative in-court and out-of-court arrangements have been introduced, with the purpose of facilitating the discharge of insolvent companies through compositions with creditors. Bankruptcy is a court-supervised procedure for the liquidation of an insolvent company's assets and distribution of the proceeds. It results in the company's dissolution. Bankruptcy applies to business undertakings, with the exception of state entities and small businesses. Pursuant to Article 15 of the Italian Bankruptcy Law, bankruptcy cannot be declared if the company's overdue debt amounts to less than €30,000. The petition for bankruptcy must be filed with the bankruptcy court of the district where the debtor has its 'main place of business' in Italy. The delegated judge is appointed by the bankruptcy court at the time of adjudication. In the adjudication judgment, the bankruptcy court also appoints a bankruptcy receiver, an accountant or lawyer experienced in insolvency matters and enrolled on a special register maintained by the bankruptcy court. The bankruptcy receiver acts in conjunction with a creditors' committee, consisting of three to five creditors appointed by the delegated judge, which has an advisory as well as a supervisory role in the bankruptcy procedure. The bankruptcy receiver fixes his or her seal on the assets of the bankrupt entity shortly after his or her appointment. He or she must prepare a liquidation plan within 60 days of the fixing of the seal and not later than 180 days from the bankruptcy judgment for the approval of creditors' committee members. The aforesaid plan must indicate the deadline to complete the liquidation of the assets, which cannot anyway go beyond two years from the filing of the judgment declaring bankruptcy, unless the receiver deems it necessary to ask for a longer term and, therefore, specifically justifies this request. From the time of the adjudication, the debtor is dispossessed. The bankruptcy receiver manages and disposes of the assets under the direction of the delegated judge. The debtor may no longer validly act in court as plaintiff or defendant in relation to the assets. The bankruptcy receiver is vested with such powers upon the authorisation of the delegated judge. However, all pending proceedings in which the debtor is involved are automatically stayed from the date the adjudication is issued. From the date of the adjudication, no attachment, garnishment or other enforcement action may be initiated or continued against assets of the bankrupt estate. Where such actions have been commenced prior to adjudication, they will be automatically stayed and absorbed in the bankruptcy procedure. Creditors are required to submit their proofs of claim at least 30 days before the hearing for the verification of the claims. At the hearing, the delegated judge either admits or rejects the claims. Once a review of all claims is completed, the delegated judge issues a statement of liabilities by decree. Creditors may challenge the decree both in connection with their own and other creditors' claims before the bankruptcy court. If proofs of claim are submitted later than 30 days before the hearing, they are considered 'late claims'; however, no late claims are entertained that are submitted later than one year after the judge's decree issuing the statement of liabilities. Late admitted creditors share only in distributions made after the time of admission. By default, adjudication involves the cessation of all the activities of the company with a view to a sale of all assets. However, the bankruptcy court may order that business operations be continued whenever cessation could cause 'serious harm', provided that the continuation does not adversely affect the creditors of the bankrupt debtor. As an alternative, the delegated judge may, with the consent of the representatives of the creditors, authorise the lease of the business as a going concern to a third party. This can be authorised whenever useful for the purpose of eventually selling the business under more favourable terms. Finally, the business of the bankrupt company could be sold to a third party en bloc as a going concern, rather than through a sale of the individual assets that comprise it. A fundamental principle of the Italian Bankruptcy Law is the equal treatment of all creditors (par condicio creditorum), according to which, absent statutory priorities, no creditor may be paid a higher percentage of his or her claim than other creditors. As a consequence, any transaction or payment that has the effect of putting a creditor into a better position than it would otherwise have been vis-à-vis other creditors amounts to a violation of the par condicio principle and, therefore, potentially subject to clawback actions. The statute of limitations for initiating clawback action proceedings is three years from the declaration of bankruptcy or, if earlier, five years from the act or transaction to be clawed back. A few exemptions from clawback are specifically provided for by the Bankruptcy Law. It is worth pointing out that the equality principle described above only applies to those creditors who have an unsecured and non-preferred claim. There are in fact two groups of creditors that enjoy preferential treatment: creditors who hold a security interest and creditors who have a preference under law. the division of creditors into classes based on criteria (legal position, economic interests, etc.). In order to strengthen the position of the unsecured creditors Article 160 of the Italian Bankruptcy Law provides that the pre-bankruptcy proposal shall have to grant the payment of at least 20 per cent of the unsecured creditors' claims. This provision does not apply to pre-bankruptcy proposals that contemplate business continuation pursuant to Article 186 bis of the Italian Bankruptcy Law. The pre-bankruptcy composition plan must be submitted to the bankruptcy court of the district where the debtor has its main place of business in Italy. The debtor must attach to the petition, among other things, a plan containing an analytic description of the means and timing necessary for the implementation of the proposal. The restructuring plan and the documents indicated above must be accompanied by a report of a qualified professional (enrolled in the register of auditors and satisfying certain requisites) who is appointed by the debtor and who certifies the truthfulness of the company's data and the feasibility of the restructuring plan. Moreover, in order to give the company in distress more time to prepare a viable pre-bankruptcy proposal, it is also provided that the debtor may file an application for the composition with creditors simply attaching the latest three financial statements, postponing to a later time the filing of the proposal, the plan and the other documents to be annexed thereto. The pre-bankruptcy composition plan is approved if the proposal obtains the favourable vote of the majority of the unsecured creditors. After the creditors' approval, the bankruptcy court homologates the pre-bankruptcy composition plan and appoints one or more liquidators in order to fulfil the approved plan, if it has to be realised by means of a transfer of assets. In cases of breach of the pre-bankruptcy composition plan or fraud, bankruptcy may follow, at the behest of the bankruptcy court. If the pre-bankruptcy composition plan is implemented, the debts are discharged and the debtor may return to ordinary operations (if the assets of the company are still in his possession). Claims arising in the course of the implementation of the plan – not just after homologation but also before homologation (conditional upon the bankruptcy court confirming such priority in the decree of admission) – are granted highest priority and must be paid in full. pay preexisting claims relating to the purchase of goods and services, to the extent that the expert confirms that the purchase is essential for the continuation of the business activity and to ensure the best satisfaction of creditors. Throughout the procedure, the debtor remains in possession and retains management powers under the supervision of the judicial commissioner and the delegated judge. The creditors must file a proof of claim with the judicial commissioner. Any disputes regarding these claims will be settled by the bankruptcy court. The creditors' participation in the proceedings is crucial, since they have to vote for or against the debtor's proposal at the creditors' meeting. the reasonableness and feasibility of the debt restructuring arrangements, the truthfulness of the company's accounting data and the suitability of such arrangements to ensure repayment of those creditors which did not agree with such arrangements are certified by an independent expert, who fulfils the requirements established in Article 67 of the Italian Bankruptcy Law. In any case, the debtor must guarantee the full satisfaction of creditors who have not approved the arrangements. The Italian Bankruptcy Law does not mandate a specific format for the debt restructuring arrangement. The parties can freely determine the specific obligations and how these are to be performed. For example, they may include the waiver of interest, guarantees, total or partial transfer of assets, different treatments between different classes of creditors or simple rescheduling. The debt restructuring arrangement is subject to homologation (confirmation). If the Bankruptcy Court does not homologate the debt restructuring arrangement, it does not automatically declare the bankruptcy of the debtor, as 'state of crisis' does not necessarily amount to insolvency. Bankruptcy procedure is started on the basis of a petition which may be filed by: (1) the debtor itself; (2) the public prosecutor; or (3) a creditor. A different regime is of course provided for pre-bankruptcy procedure, composition with creditors and restructuring arrangements, which may only be started by the initiative of the debtor himself or herself. During bankruptcy proceedings, the debtor is deprived of the authority to manage and dispose of its assets, and these powers are delegated to a bankruptcy receiver under the direction and supervision of the delegated judge. The judge must approve any extraordinary transactions proposed by the official receiver and appoints the creditors' committee. In a composition with creditors, the company is controlled by its management during the whole procedure, even if there is still a supervision of the judicial commissioner (usually an accountant or a lawyer having the powers of a public officer). To carry out specific extraordinary transactions, however, court approval is always required. Finally, in debt restructuring arrangements, the debtor continues to control its business. Forced administrative liquidation is a special bankruptcy procedure provided by the Bankruptcy Law that applies, in particular, to insurance companies, credit institutions (banks, investments firms, fund management companies, open-end investment companies and financial intermediaries), cooperative companies, trusts and auditing companies, cooperative consortia granting public contracts and mandatory consortia. Its aim is to liquidate the debtor. The procedure may be started by the debtor, the directors of an insolvent company, or one or more creditors. The bankruptcy court must seek the advice of the government agency responsible for supervising the debtor's company. The judge may initiate proceedings by declaring the debtor insolvent and appointing a liquidator. All legal actions started by creditors against the debtor are then stayed. The liquidator is assisted by a supervisory committee consisting of between two and five experts in the debtor's industry. In the case of large businesses, up to three liquidators may be appointed. Unlike other procedures, there is no delegated judge, as the procedure is mainly administrative in nature. Extraordinary administration, which is regulated by Law No. 270 of 8 July 1999 (the Prodi-bis Law), applies only to companies (and their affiliates) which had at least 200 employees in the previous year and with total liabilities of at least two-thirds of either their total assets or their turnover in the previous financial year. According to Article 27 of Law No. 270, this procedure is open solely to companies which demonstrate 'concrete possibilities of recovery of economic balance of their activities'. The procedure is divided into two phases. The first phase is mainly focused on the ascertainment of the requisites for the admission of the debtor to this special procedure and is aimed at the declaration of the state of insolvency. In its judgment, the bankruptcy court: appoints the delegated judge who will supervise the procedure and one or three judicial commissioners; set the deadline for the creditors to present their proofs of claim and the date of the hearing at which such claims will be examined by the delegated judge; and decide whether the management of the insolvent company should remain with the debtor or pass to one or three judicial commissioners. The declaration of the state of insolvency produces certain immediate effects, such as, for example, the automatic stay of all legal actions by creditors against the debtor's assets and the freezing of the accrual of interest. The second phase results in the admission of the insolvent company to the extraordinary administration procedure or, alternatively, to adjudication in bankruptcy. No later than 30 days from the filing of the judicial commissioner's report, and taking into account the opinion of the Ministry of Economic Development, the bankruptcy court, should the conditions provided by Law No. 270 be met, declares the opening of the procedure. Otherwise, it declares the debtor company bankrupt. Should the company be admitted to the procedure, the stay of actions continues and clawback actions become possible. The extraordinary commissioners are empowered to manage the company and its assets under the supervision of the Ministry of Economic Development. They act on the basis of a recovery plan prepared by them and authorised by the Ministry. Any debts incurred in the continuation of the business generally will have priority over any other secured and unsecured claim pursuant to Article 111 of the Italian Bankruptcy Law. Creditors can file their proofs of claim and have right to distribution of proceeds. Should the recovery programme underpinning the transfer of the business be completed within the term set, the bankruptcy court, upon request of the extraordinary commissioners or ex officio, declares the closing down of the business. The extraordinary administration can at any time be converted into bankruptcy upon request by the extraordinary commissioner, or even ex officio, if the procedure cannot be positively continued. At the end of the procedure, the bankruptcy court will declare the conversion of the procedure into bankruptcy when either the sale of the assets has been not performed within the term stipulated in the programme, or the business has not recovered its ability to regularly perform its obligations. In the wake of the Parmalat case, the Marzano Decree (Law Decree 347/2003) introduced a faster procedure aimed at saving and turning around large insolvent companies in order to preserve their technical, commercial, productive and employment value. This procedure restructures the company's debts and sells those assets that are not strategic or do not form part of the company's core business. The procedure is focused on restructuring rather than on the liquidation of the debtor's assets. It is based on the implementation of a two-year recovery plan subject to the minister's approval. On 20 May 2015, the European Parliament and the Council enacted EU Regulation No. 848/2015 (the Recast Bankruptcy Regulation), which entered into force on 25 June 2015 and is applicable to insolvency proceedings starting from 26 June 2017, with few exceptions. The new rules also apply to proceedings that provide for the restructuring of a debtor, the 'hybrid proceedings', for example the Italian debt restructuring arrangements pursuant to Article 182 bis of the Bankruptcy Law. This reform does not change the main framework of cross-border insolvency proceedings as set out under Council Regulation (EC) No. 1346 of 29 May 2000 (the EC Bankruptcy Regulation), but anyway introduces some important changes. The 'centre of the debtor's main interests' pursuant to Article 3 of the EC Bankruptcy Regulation – according to which the courts of the Member State within which the centre of the debtor's main interests is situated is competent to commence the main insolvency proceedings – has been more precisely defined as the 'place where the debtor carries on the administration of its interest on a regular basis and which is verifiable by third parties'. Another important amendment is set forth by Article 4 of the Recast Bankruptcy Regulation, stating that the court before which a request to start insolvency proceedings has been filed shall have to examine ex officio whether it has jurisdiction on the case. Should the court decide to open the proceedings, it shall have to specify in its decision if the proceedings are the main proceedings or secondary proceedings, pursuant to Article 3. Where the EC Bankruptcy Regulation is not applicable, Italian Bankruptcy Law applies. Article 9, paragraph 1 provides that bankruptcy can be declared by the court of the place where the debtor has its 'main office'. In order to give emphasis to the notion of 'main office', Italian case law does not make reference to the place where the productive activity is usually carried out, but to the management centre of the business (i.e., the place where the business decisions of the company are taken). Pursuant to Article 9, paragraph 2, the transfer of the registered office of a company in the year prior to the filing of the petition for bankruptcy is disregarded for the purpose of determining the venue and jurisdiction of the bankruptcy proceedings of such company. According to Article 9, paragraph 3, the debtor who has its main office abroad can be declared bankrupt in Italy, even if a declaration of bankruptcy has been rendered abroad. Furthermore, the relocation of the business to a foreign country does not exclude the jurisdiction of Italian courts, if it occurred after the filing of a petition for bankruptcy or the request of the Public Prosecutor. In the first three months of 2018, the number of Italian companies' closures continued to decrease, also thanks to a persistent downward trend in bankruptcies and other insolvency procedures. Below are a few examples of the most significant insolvency procedures opened in recent years in Italy. The last two cases are a clear example of the serious difficulties faced nowadays by real estate companies in Italy. Ilva SpA is a company engaged in the production, processing and marketing of steel products. It is the biggest steel plant in Italy and one of the largest steel producer in Europe. By decree of the Minister of Economic Development of 21 January 2015 Ilva was admitted to the extraordinary administration procedure. The company was subsequently declared insolvent by judgment of the Court of Milan. Mr Corrado Carrubba, Mr Piero Gnudi and Mr Enrico Laghi have been appointed as official receivers for the company. By decree issued on 30 June 2017, the assessment of ILVA's credits has been declared final and enforceable by the Court of Milan. Alitalia SpA is a company based in Italy and engaged in the aviation sector. As of 29 July 2009, Alitalia has been the first airline for domestic flights in Italy. By decree of the Minister of Economic Development of 2 May 2017, Alitalia was admitted to the extraordinary administration procedure provided by Law Decree 347/2003. By judgment of the Court of Civitavecchia dated 11 May 2017 Alitalia was declared insolvent. Mr Luigi Gubitosi, Mr Stefano Paleari and Mr Enrico Laghi have been appointed as official receivers for the company. The procedure is still ongoing. Grandi Molini Italiani SpA is the biggest producer of soft wheat flour and durum wheat semolina in Italy and one of the biggest in Europe. By petition filed on 3 November 2015, the company requested to be authorised to enter into a composition with creditors pursuant to Article 161 of the Bankruptcy Law. By decree issued by the Court of Rovigo on 5 November 2015, the company got the court's approval; therefore, Mr Stefano Ambrosini, Ms Stefania Traniello Gradassi and Mr Carlo Salvagnini were appointed by the court as commissioners. Borsalino Giuseppe & Fratello SpA is a luxury Italian hat maker, celebrating its 160th anniversary this year. By judgment issued on 14 December 2017, the company was declared bankrupt by the Alessandria Bankruptcy Court. On 17 April 2018, the first hearing for the examination of the creditors' claims was held. The procedure is still ongoing. Acqua Pia Antica Marcia SpA is an important real estate group of companies headquartered in Rome. The group engages in the airport, construction and tourism businesses and includes the first real estate company born in Italy. It handles five national airports (Milan Malpensa, Milan Linate, Venice, Bologna and Catania). It also develops residential and commercial centres, with a focus on the reconstruction of the architecture of old disused industrial sites. Finally, it manages several luxury hotels (e.g., Grand Hotel Villa Igiea, Grand Hotel et Des Palmes, San Domenico Palace Hotel, Excelsior Palace Hotel and Excelsior Grand Hotel, located in Sicily). By decree issued on 3 July 2013, by the Court of Rome, the company was authorised to enter into a composition with creditors pursuant to Article 161 of the Bankruptcy Law. 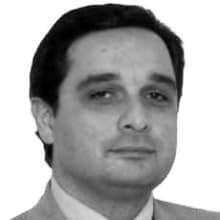 In the same period, all subsidiaries filed analogous requests and were authorised to start a pre-bankruptcy procedure. After the creditors' approval, the pre-bankruptcy composition plan filed by the company was finally homologated by the Rome Bankruptcy Court on 17 December 2014, which appointed a liquidator in order to fulfil the approved plan. Porta Vittoria SpA was founded in 2005. The company owned and operated the Porta Vittoria project, one of the most important real estate development projects in Italy, covering an area of about 42,000 square metres and including both commercial and residential buildings, offices and also one hotel. By judgment issued on 29 September 2016, the company, whose debts amounted to about €400 million, was declared bankrupt by the Milan Bankruptcy Court. On 20 February 2017, the first hearing for the examination of the creditors' claims was held. The procedure is still ongoing. Ancillary or secondary proceedings may be opened in Italy in the event that the main insolvency proceedings are pending in another EU Member State, subject to the EC Bankruptcy Regulation (see Section I.vii). By Law No. 155 dated 19 October 2017, which entered into force on 14 November 2017, the Italian parliament delegated the government to thoroughly reform the Italian Bankruptcy Law, also through a rationalisation of the legislative picture, within the following 12 months. The reform shall have to take into account EU Regulation No. 848/2015 (the Recast Bankruptcy Regulation), Commission Recommendation 2014/135 and the UNCITRAL principles on insolvency. The reform shall have to introduce an effective alert mechanism at the first signs of bankruptcy and limit access to the pre-bankruptcy composition to companies capable of being revived. Furthermore, a specialist judge will be contemplated for minor bankruptcy cases. It is also worth highlighting that the reform would fill an important gap in the current Italian legislation, by introducing a specific discipline applicable to the insolvent groups. Priority shall have to be given to those proceedings whose aim is to overcome the crisis by carrying on the business as a going concern, provided that they are in the interest of creditors. The reform shall, therefore, boost debt restructuring arrangements and out-of-court debt restructuring plans. 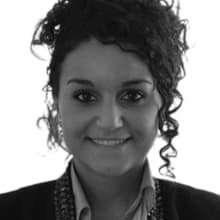 1 Gaetano Iorio Fiorelli is an of counsel and Eliana Maria Fruncillo is an associate at Baker McKenzie in Milan. 2 Official data updated as at 2015 are reported by Cerved on: https://know.cerved.com/it/studi-e-analisi/la-durata-dei-fallimenti-chiusi-italia-2015. This article particularly points out that the average duration of insolvency procedures has significantly decreased over the past years. On the subject, see also Il Nuovo Diritto delle Crisi d'Impresa, Alberto Jorio, Giuffré Editore, 2009. 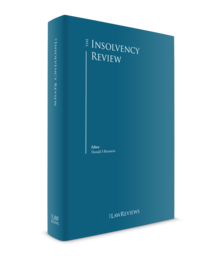 3 As regards the non-reversibility of the state of insolvency see, among others: Il fallimento e le altre procedure concorsuali, Luciano Panzani, UTET, 2012; and Italian Supreme Court, judgment No. 4455 dated 28 March 2001. 4 For further details see: Diritto Fallimentare, Lino Guglielmucci, Giappichelli Editore, 2017; and Il diritto fallimentare e delle procedure concorsuali, Elena Frascaroli Santi, Cedam, 2016. 5 See Trattato delle procedure concorsuali – La Dichiarazione di Fallimento (Vol. I), Lucio Ghia, Carlo Piccininni, Fausto Severini, Utet Giuridica, 2010. 6 For further information on this special type of pre-bankruptcy procedure, see Il concordato con riserva, Edoardo Staunovo-Polacco, Giuffrè, 2016. 7 Secured creditors do not vote, as they have priority over the proceeds of the sale of their security. 8 For further details on tax settlement see: La transazione fiscale, Mario Cardillo, Aracne, 2016. 9 A more in-depth analysis of debt restructuring arrangements may be found in: Gli accordi di ristrutturazione dei debiti, Carlo Trentini, Ipsoa, 2012. 11 For more details on this special procedure, see Trattato delle procedure concorsuali – L'amministrazione straordinaria e la liquidazione coatta amministrativa (Vol. V), Lucio Ghia, Carlo Piccininni, Fausto Severini, Utet Giuridica, 2011. 13 Italian Supreme Court, judgment No. 12,031 of 19 December 1990. Italian legal commentators distinguish between 'international public policy' (which refers to the general principles that are universally enforceable, namely the inviolable rights of the individuals) and 'internal public policy' (which includes the ethical, economic, political and social principles peculiar to the Italian legal system). Only the first is relevant with respect to the recognition of proceedings. Article 33 of the Recast Bankruptcy Regulation prevents any Member State from recognising an insolvency proceeding and enforcing a judgment relating to it if they are manifestly contrary to the relevant state's public policy, 'in particular to its fundamental principles or the constitutional rights and liberties of the individual'. It is worth underlining that Article 33 of the Recast Bankruptcy Regulation contains a general definition of 'international public policy', which is deemed to be a fundamental principles of any Member State, as well as the constitutional rights and liberties of the individual. 14 Official data are available at https://know.cerved.com/wp-content/uploads/2018/05/Osservatorio-su-fallimenti-procedure-e-chiusure-di-imprese-1q2018.pdf .